Richard Skinner: "Hello. They say that Top of the Pops is the home of the hits and tonight is no exception. We've got a racy show for you this evening including, surprisingly, Racey singing about a girl that we all know..."
Racey: Runaround Sue . When Richard Skinner finishes his introduction he turns to one side, as if the camera is going to move past him but instead the picture cuts straight to a big close-up of the lead singer of Racey. Did the camera move get messed up and have to be edited out, or were Racey and Richard Skinner not in the studio at the same time? Meanwhile. Racey? They haven't been seen on Top of the Pops studio since 1979. Where have they been? Clothes shopping apparently. The band are all decked out in matching lavender suits and black shirts. Unfortunately this look combined with the cover version song suggests that Racey have turned into a low rent Showaddyaddy. At least the studio audience seem pleased. The production team has realised that in order to get some atmosphere into the studio the whole crowd needs to be on its feet. The stepped area at the back of the stage used to be seating only, now the whole studio is standing and dancing and it looks great. 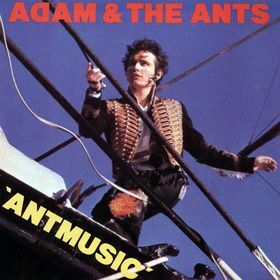 Adam & The Ants: Antmusic . There's a jarring cut from Racey straight to a repeat of Antmusic from the 11/12/1980 edition. Richard Skinners head is superimposed over Adam & The Ants as he does his introduction, the effect is actually more distracting than if they'd just gone straight from one song to the other with no link. There are 13 episodes in season 2 which was shown in 1967 but unfortunately only two survive, the rest perhaps cryogenically frozen in some underground bunker or maybe Miss Jones borrowed them and forgot to bring them back. The duo which do survive suggest that the season had a more varied tone and was a little more macabre. Multiple episodes feature Adamant’s nemesis The Face who talks like an Ice Warrior from Doctor Who and dresses like someone with a rubber fetish. He seems to pop up with various fully formed plans week after week with little explanation as to how he affords it or who in fact he is. Perhaps these revelations are in one of the many missing episodes. 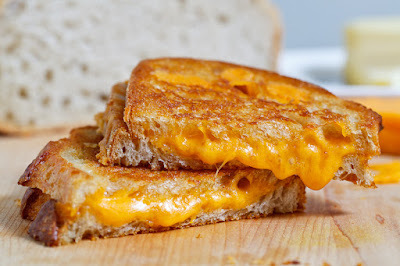 During the Seventies, when people wanted a snack especially first thing in the morning or last thing at night they would head for their pine covered kitchen and reach for the Sandwich Toaster, probably made by Breville. You didn’t have a proper kitchen unless you had one of these and before long people worked out that toast was tastier if you put cheese on it. This is of course an unhealthy sort of snack but everyone partook until they realised this fact. Now these toasted sandwich devices lie in cobweb covered obscurity. One of the fun things about non fantasy series that delve into the genre is seeing how well they manage to do and this episode achieves a good job of purportedly showing a UFO on several occasions. It sounds loud, it blows gusts of wind everywhere and is suffused with strong lights. More importantly it’s a big old physical prop. No wonder people think that it is a UFO and plaudits to the production team for making it as convincing as many an actual sci-fi series. They tip over into the horror genre with the victims though; as if making up for last episodes’ absence of murders this time we are served up three grisly deaths in which the bodies are encased in a black polymer in which they had drowned and which then hardens. Nasty even by Midsomer standards. "Something happened on the day he died...."
Well the next day anyway. 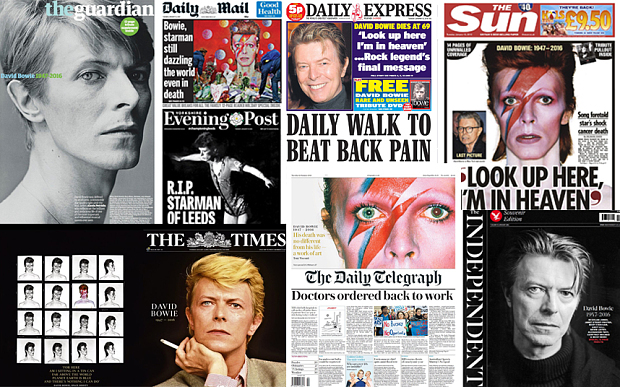 The media and especially the public reaction to David Bowie’s death has been phenomenal and unexpected. Not just from the likes of people who recall classic album or tours or grew up when Ziggy played guitar or even from those who first heard of him when he invited us to dance in 1983. Many of those paying tribute weren’t even born when `Let’s Dance` came out. The response has been heartening and resulted in this week’s remarkable UK albums chart in which 19 Bowie albums feature. 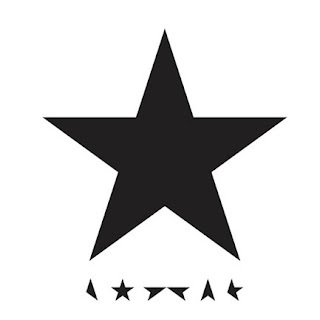 At the centre of it all `Blackstar` sits at number one though it was probably already destined for the top spot before Monday’s news. Most online media sites have been packed with stories about Bowie while views of the much referenced `Lazarus` video have passed the 20 million mark. The press lavished wraparound features and covers on the story. When an artist of some repute passes it’s a standard thing to say that while this is a sad event at least we have their art remaining with us forever. While this is certainly doubly true of David Bowie, what I will really miss is the thrill of new material being released. Of not knowing what strange curveball or diversion he’s up to now. Of being sure that the only certainty is that it will be different to last time. Whatever the critics might have said at the time every Bowie album contains at least something interesting, bold or unusual. Uniquely amongst legends he also managed to retain a freshness and musical questing right till the end releasing the absorbing `Blackstar` just two days before his death. Whoever has signed off with anything as daring as an album like that? 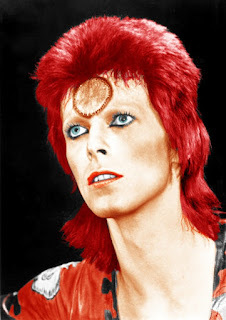 Whoever has made such left turns as Ziggy into `Young Americans`, `Scary Monsters` into `Let’s Dance`? The whole geography of his career is full of bold moves- who else would `abandon` his solo career for a group like Tin Machine? Who else would end a near decade’s hiatus with a single like `Where Are We Now`? Who else would kill off their famous alter ego live on stage? The answer is no-one else at all. Midsomer without any murders? ITV’s longest running non soap drama returns with a surprise. ITV continue to retain faith in what is, in TV terms, an old warhorse of a show which next year will celebrate its 20th anniversary and has over 100 episodes behind it. There’s 6 new ones this year, 2 more than has been the case in recent series and they kick off with this moody tale of missing bodies. It’s one of those episodes that the series does so well building momentum gradually- though some may find the pace a little too slow- until a moment that seems to open up a more dynamic final section. 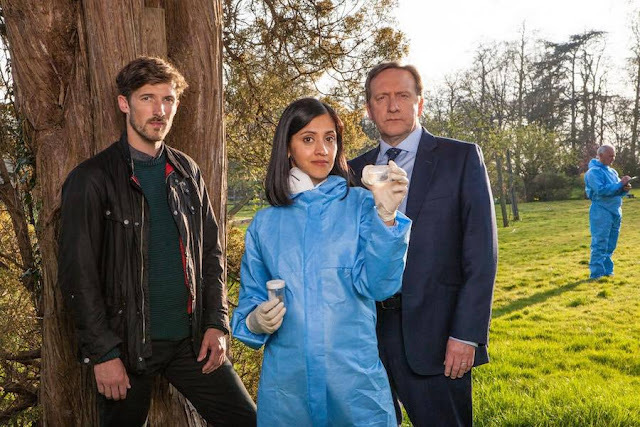 Midsomer Murders is a director’s show in many respects with the mix of the macabre and the ordinary offering a wide palette. The countryside- especially at night- is a vivid backdrop with which all sorts of things can be suggested. 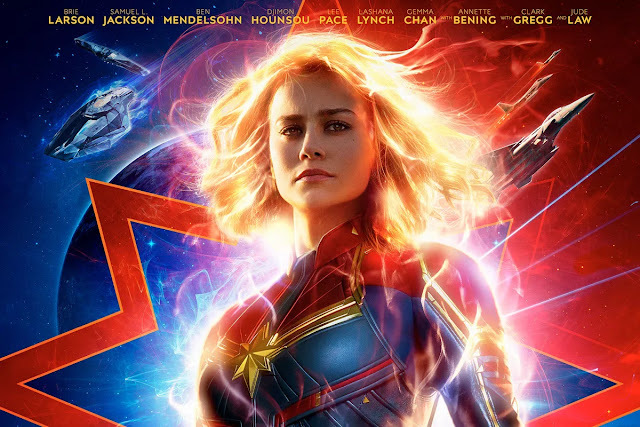 Because it is not a fantasy series there has to be a reasonable and probable explanation for any strangeness but directors often use the tools of fantasy or horror to suggest all kinds to the viewer. Here for example a drive along a night time country road becomes full of danger especially to a character trapped in the boot of a car with a body. The sequence climaxes when an illicit burial in a lake is exposed yet this itself is a large red herring but the choreography of the scene is impeccable. "No bodies then? What shall we do?" "I did catch a fly." Progress and time dictate that there will not be many more occasions when I have the opportunity to walk into a shop and buy the new David Bowie album but whatever the surroundings it still feels like an event. Nothing can quite compete with 2013’s grand return of course but you wonder how that would have worked had the album on offer three years back been this one. `The Next Day` remains one of the prime latter period Bowie offerings yet it is at heart a conventional set not dissimilar to `Reality` the album with which we thought he’d closed his account in 2003. `Blackstar` is something else altogether. 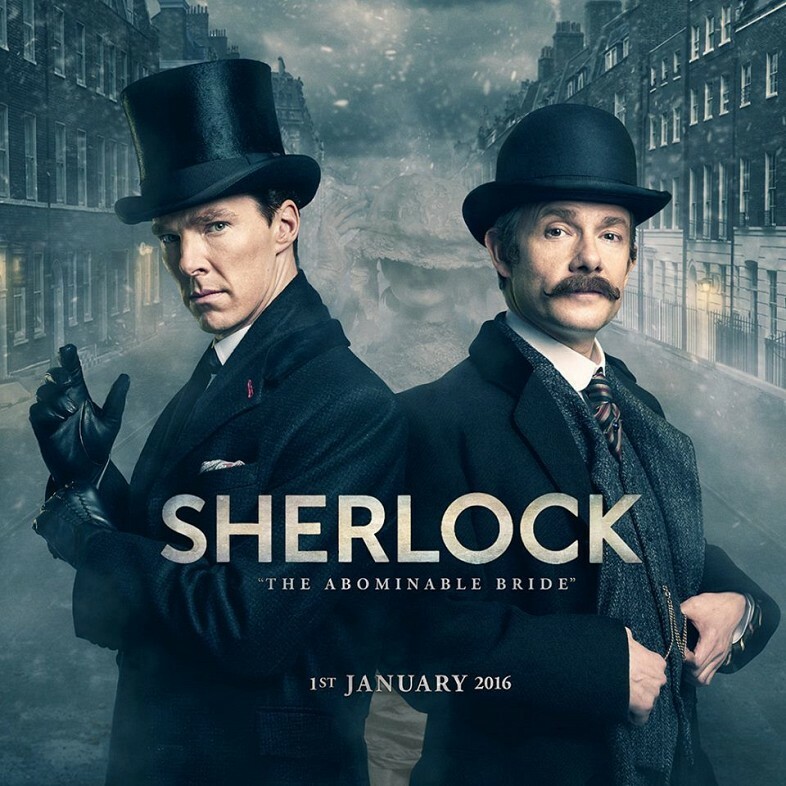 Given its literary roots and the iconic film and TV adaptations over the years – take your pick from Basil Rathbone to Peter Cushing to Jeremy Brett to Johnny Lee Miller – it seemed inevitable that the makers of arguably Sherlock Holmes’ most significant pop cultural makeover would one day take advantage of one of its now standard sabbaticals and embrace the Victoriana. 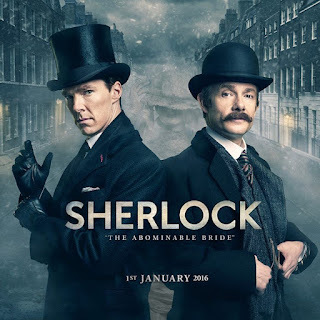 When paparazzi photos emerged early in 2015 of stars Benedict Cumberbatch and Martin Freeman in full period dress, deerstalkers and capes as standard, speculation inevitably grew as to how Sherlock’s makeweight Christmas special would dovetail into a continuity left precipitously poised at the end of its third series and that viral meme erupting across phones, tablets and TV screens across the nation. Would they travel back in time by TARDIS? Was this a dream, an old case conducted by a hitherto unmentioned ancestor, or just a standalone jaunt into the aesthetic of Conan-Doyle before resuming normal service in 2017? Amongst all those social media debates I’m pretty sure hardly anyone suggested that it would try to be all three.